Metroid: Samus Returns is an action-adventure genre video game released exclusively for the Nintendo 3DS on September 15, 2017. The game is the first video game apart of the Metroid Series to be released on the Nintendo 3DS, being developed by both MercurySteam and Nintendo. 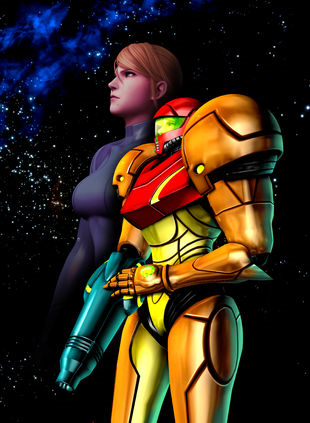 Originally apart of the Science Fiction Metroid Series, the game follows the character of Samus Aran in her famous battle suit when sent to the home planet of the Metroids on SR388, the same with the sole mission of exterminating the species as a whole. The game is not only the retelling of events of the 1991 Game Boy Classic Metroid II: Return of Samus, but it is also the reimaging and remastering of that very game. Shortly after the events of Metroid: Zero Mission and her battle against Mother Brain, Samus Aran is sent to SR388, the home planet of the species known as Metroids. With the mission of discovering what ultimately happened to the Galactic Federal Special Squadron, as well as with the order to eradicate the race of evolving creatures, Samus quickly finds herself under attack after landing and beginning her objectives. After defeating a number of Metroids, Samus is thrown another money-wrench when she can't find it within herself to kill a newly hatched Metroid that believes Samus is her mother. 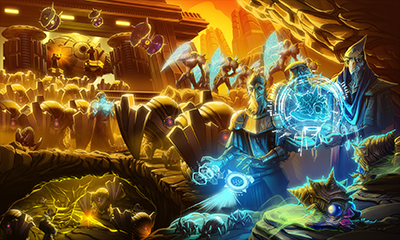 Many battles await Samus on the planet inhibited by Metroids, as well as a number of twists and turns in the plot that many players won't expect the slightest. 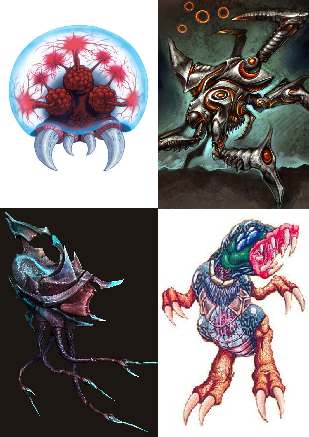 Being imprinted with the Baby Metroid is just the tip of the iceberg where Samus' odyssey is concerned, as many unexpected developments will occurs after her humane gesture of preserving the life of the infant. Samus will be pushed further than ever before, both physically and spiritually, and so will players along for the ride. Metroid: Samus Returns makes not only for one hell of a remake, but for any video game in general. From its classic plot to its enhanced gameplay now including new abilities, powers, counters, and aiming system, Samus Returns is being renowned as one of the best games released of 2017. The adventure of Samus is great, and so will the contents found in this very guide! So don't simply discover all the battles and features found in this game by exploring all the pages found in this walkthrough, but rather also subscribe to this guide to get notifications for all the updates along the way, getting the best information for Samus Returns found on the internet immediately! The first rendition of this game wasn't enough - it's time for Samus to return to the Metroid Planet in another epic event! No discussions open for Metroid: Samus Returns at the moment.